This process is the same for all three tabs. 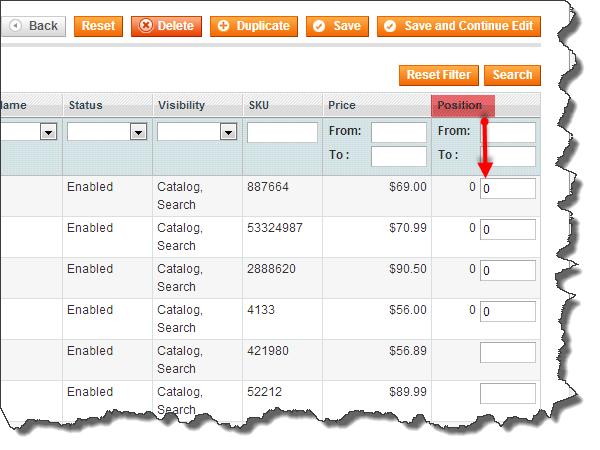 Click Reset Filter (upper right hand corner) to bring up all the products in the catalog. From here you can select the products you wish to associate with the product you are working on. Click the box on the far left to select a product. 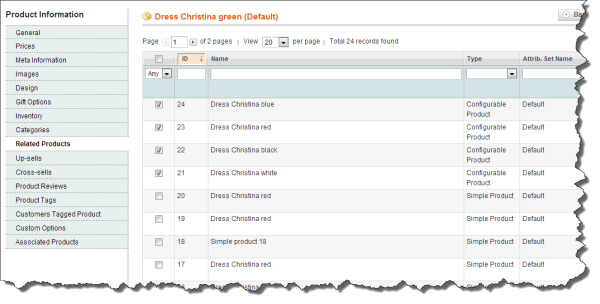 You can also filter by name, type, SKU, etc. by using the fields at the top. To clear out the search, click Reset Filter. If you would like to order the related products, you may do so by typing in the sort order number in the position box on the far right hand side. Related Products are products that you would like to offer to the customer at the bottom of the product page. They can complete an outfit or a set that the featured product is a part of. Up-sells are products you would like to offer the customer at the bottom of the product page INSTEAD of the featured product. They are usually more expensive, of better quality or more popular. If you have both Related and Up-sells on a product page, Up-sells appear below the Related Products. Cross-sells are suggested products that appear in the shopping cart. 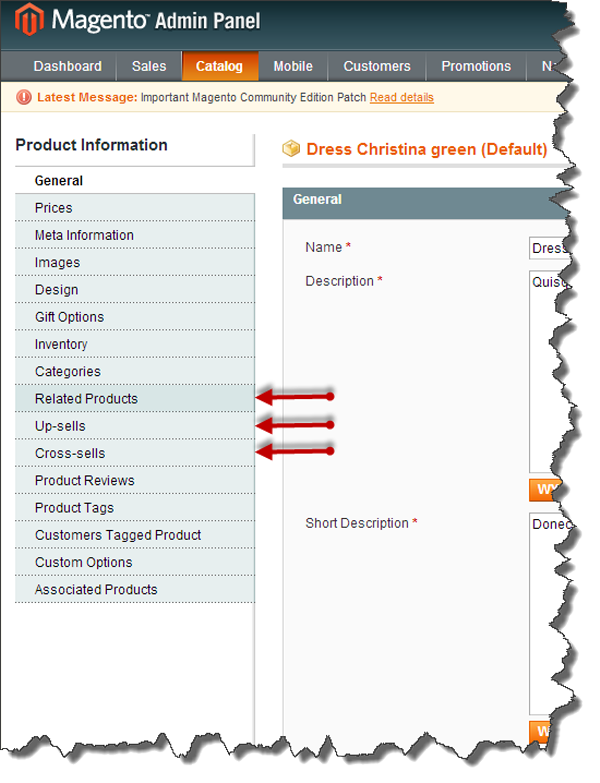 Magento randomly picks 3 products that you have designated as cross-sells to display here.